The Nuance Salma Hayek Wild Lime Exfoliating Facial Gel is proof that effective skin care doesn’t need to be super-expensive. This product is filled with fruit extracts, minerals and other botanicals like Neem Leaf Extract and Mushroom Extract that gently exfoliate skin and give it a healthy glow. 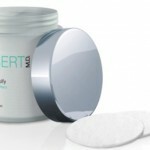 The gel is thick and gives a warming sensation when applied to the skin. It’s recommended that you leave it on for 5-6 minutes and then rinse off. 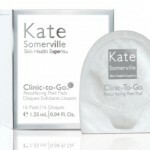 In my use (about 5 applications), I didn’t experience any sensitivity or irritation and definitely noticed soft, smooth skin when upon removal. This is a gentle exfoliator and I would particularly recommend it for younger, acne-prone skins, although it is for all skin types. The Nuance Salma Hayek line has over 100 products in the skin care, cosmetics, hair and body categories. I went to a local CVS to check out some of the other products in the line, but unfortunately the one in my area really didn’t have a good selection. Another product that I tried that I liked very much is the Nuance Salma Hayek Smoothing Anti-Aging Eye Cream–very moisturizing. Nuance Salma Hayak Wild Lime Exfoliating Facial Gel retails at $7.99 and is available in CVS/pharmacy stores and online. 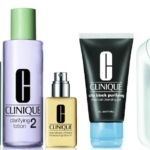 Back to Basics with Clinique Skincare!